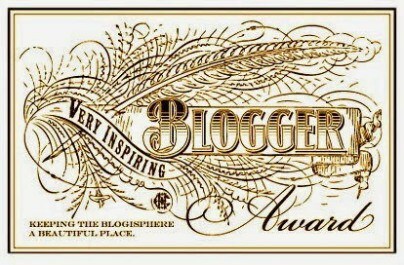 A big thanks goes out to my friend Mari at Living In Mommywood for nominating me for the Very Inspiring Blogger Award. Please stop by to visit Mari & you will see why she was also nominated. It is always a lovely feeling to be nominated to for one of these awards, especially one that comes with the title of very inspiring. I am often inspired by so many of you, that I really hope that I am able to do the same for some of you. As I near 500 followers, I feel very honored to have gained so many readers and to hear your thoughts & comments. I feel as if I have made some great friends within the blogging community and I have learned so much from you all. It will be difficult to choose just 15 to nominate. 1. I don’t know how to swim. I know this may seem weird, but it is true. I am not afraid of the water, in fact I love it. I love kayaking & have even been white water rafting, but I cannot swim, not even a little bit. Luckily Mai takes swim lessons so that she won’t end up like mommy. 2. Halloween is my favorite holiday. I am a 40 year old woman that loves to play dress up. Wigs are my favorite. I probably own about 10 different wigs. 3. I eat frozen yogurt every night. In fact I am eating a bowl right now. Sometimes I eat it with Captain Crunch thrown on top. Sometimes I squeeze it between two graham crackers with honey drizzled on it, but every night I am eating it. 4. I am addicted to the Hunger Games series. I sometimes think I am a teenage girl trapped in a middle aged body.I love the books & the movies & have a slight crush on Peeta. 5. I don’t sleep. Ok, I sleep sometimes, but for the most part I am a horrible sleeper. I have had insomnia for as long as I can remember. People always ask me when do I have time to blog. I reply it is easy when you don’t sleep. 6. My husband & I met playing beer pong. We were partnered up at a Labor Day party & entered and won the tournament. This of course was back in my younger drinking days.The rest as they say is history. First off, huge congrats and definitely well deserved!!! Second, thank you so much for the nomination and definitely made me smile this morning. And like you I definitely have my nights and bouts of insomnia still. This started right around my 18th birthday and it has gotten better, but still every once in awhile I will have a bad night again here. Totally just used to it, too. And like you said, at leafs I can blog when it hits! Thanks Janine! Not being able to sleep is awful , luckily I have my hobbies hands all of you to keep me entertained. Thank you for the nomination! I enjoy reading your blog! Thank you and you’re welcome. I enjoy your blog is well. Really, I swear I feel like the only adult that I know that can’t swim. We can take lessons together. LOL. PS. You’re welcome. Thanks Bre. Yeah most don’t meet their spouse during drinking games. Lol! I think I like you so much more after reading this!! I think we would be such great friends if we ever met in person. 🙂 Thanks once again for the nomination–you have made my day!! Oh, thanks!! You are so kind! Hey! Congrats on the nomination and thank you for nominating me! This is pretty cool and I’m grateful to have people who enjoy my posts! Oh yeah, I too hardly sleep and find myself up wayyyy too late sometimes. Your nomination was well deserved. I love hearing the daddy perspective. I think a lot of us have the no sleep thing in common. It makes sense when else would you have the time to squeeze it all in.